This December, HCC would like to shine the spotlight on an amazing HCC volunteer, Kathleen Trapp, whose own parents taught her how to serve at a young age. Today Kathleen continues to live out the same lessons she learned long ago. As Kathleen and her husband aim to teach their own teenage boys the same lessons in serving others, the HCC has played a key role. Kathleen began volunteering at the HCC over four years ago with her son, Max, as they were looking for service opportunities that allowed kids to volunteer. HCC welcomed Kathleen and Max with open arms and they immediately began volunteering on Saturdays. “I love this time with my son and learning about the needs of others right in our community,” commented Kathleen. Kathleen and her entire family are now involved with HCC in numerous ways- from volunteering during HCC shifts, to helping with local bread pick-ups, joining our Advisory Board, helping with HCC’s backpack/school supply and Christmas toy drives and setting up community volunteer projects with Trapp Technology and the Paradise Valley High School varsity football team. As the HCC’s continue to expand there are also expanding needs. Kathleen constantly encourages others to use one’s gifts and talents at the HCC! Take a step of faith and give it a try. Serving others in your community and seeing the difference that is made in others’ lives is very powerful. It is not only rewarding, but also helps us see the bigger picture of God at work in all our lives. Thank you to Kathleen and the entire Trapp family for being a strong example of a family who serves and loves their community! Besides volunteering in her local community Emily loves her family and dog, reading and playing the violin. Her goal is to become a Supreme Court judge and continue to give to those who need help getting back on their feet. All of us at HCC know Emily will do amazing things in the future to impact her community, state and country! Thank you, Emily, for showing us all how to be a light to our community! Meet our dear friend and Harvest Compassion Center volunteer Walt. Walt, originally from Crystal Lake, Illinois, has been serving at the Harvest Compassion Center Phoenix over 5 years and literally jumps in to help wherever he is needed. 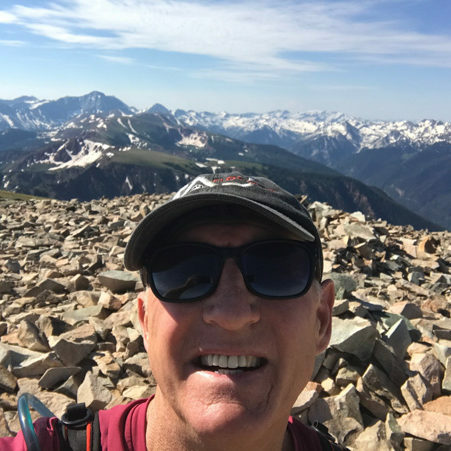 After retiring and moving to Phoenix in 2008 to enjoy all the Valley’s outdoor living and recreation, our paths crossed. On Walt’s first day walking into the HCC to volunteer we knew he was a hard worker and a team player. Walt can be seen weekly cleaning and tagging shoe donations, the next day he’s mopping the floors before our morning shift; he also can be regularly seen helping unload our delivery van and stocking the shelves with food. There’s a massive amount of work that goes into prepping the Harvest Compassion Center for guests weekly. Walt is always enthusiastic to help ‘behind the scenes,’ or as he stated, “It’s like the lower level of the Titanic, we work hard in the back and have a lot of fun!” Walt surely isn’t afraid of getting his hands dirty and all of us at Harvest Compassion Center are so thankful for his giving spirit and attitude. Walt encourages others to join the volunteer crew at the HCC saying, “Please come serve with us, it fulfills your heart and soul. It’s fun and rewarding and you meet great people.” Walt has told others many times that his life has been changed by volunteering at the HCC. Volunteering keeps him in the Lord’s spirit and he knows it’s honoring to Him. Walt truly lives and breathes all things HCC, he’s an all-in type of guy, who is a blessing to the HCC’s outreach and guests. Thank you again Walt for the thousands of hours you’ve served and most of all for the compassion you demonstrate daily! 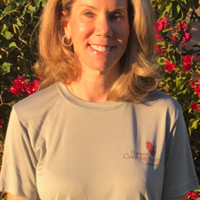 This month the HCC Phoenix would like to show our appreciation to Laura Mancuso who has been volunteering at the center for close to 2 years. 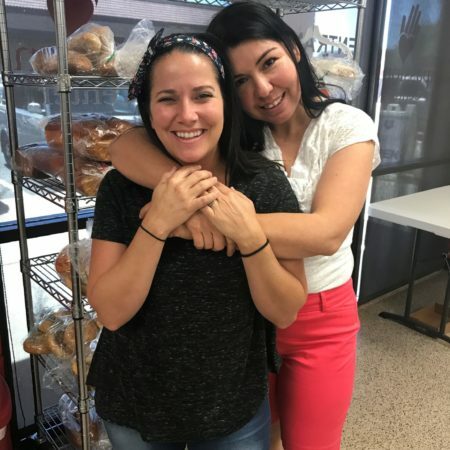 Laura, a busy wife, mom, and business owner of Bicycles of Phoenix, has sacrificially donated her time to serve her neighbors at the HCC monthly. Laura has literally done it all! She’s been a food shopper, a clothing shopper, helped with our Backpack and Christmas Outreach drives, served at our Open Houses giving tours, and been floor manager during shifts, as well as, ran the computer for guest check-in. Laura is an all-in, team player, someone who stays busy from opening to closing! “My favorite part of volunteering at the HCC is the opportunity to get out of my comfort zone serving HCC guests, also the amazing camaraderie and friendships I’ve made while serving is something I treasure!” replied Laura. Laura has truly exemplified the true meaning of servanthood and she has been rewarded with new, wonderful friends who she now shares a common bond with. She found the HCC Phoenix, a place where she can truly make a difference, something she never knew she was missing until she said yes! “I am truly blessed by the stories and smiles that are exchanged each time I volunteer my time at the HCC,” added Laura. 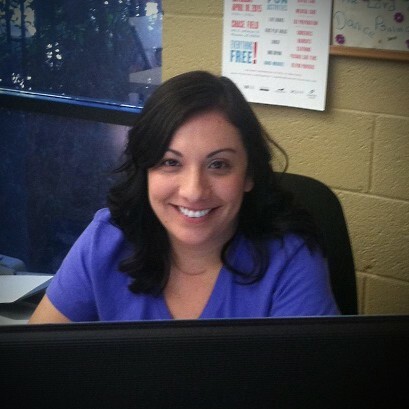 Meet Carol Augustine, who has been volunteering at the Harvest Compassion Center Phoenix for the past three years. 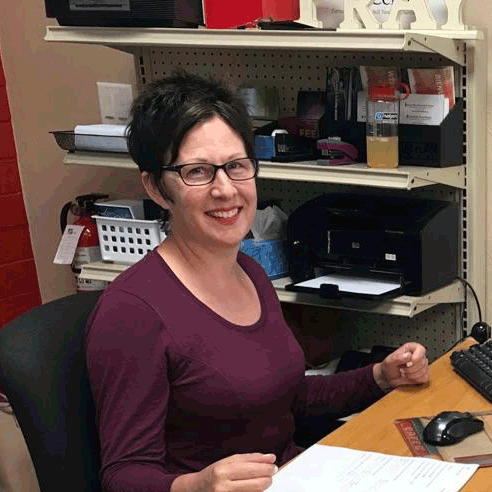 Carol started out serving our guests in our clothing boutique; today she works the front desk checking guests in. Carol’s heart has always been drawn to serving her local community; from the moment she heard about the HCC’s outreach in the Valley she couldn’t wait to get started! Being bilingual Carol is a huge blessing to our Spanish speaking guests who make up 45% of our overall client base. Carol counts it a privilege for the opportunity to truly get to know each guest who walks in the HCC doors. She is encouraged as guests share with her their personal struggles and hardships, as well as, their thankfulness for the HCC. Carol also raves about the other faithful HCC volunteers who serve sacrificially week in and week out, proving the mission of Harvest Compassion Center is truly a team effort! Today we thank Carol for her faithful service to the HCC. Volunteers like Carol are the reason the HCC can open its’ doors and serve 500 plus families a month. The Harvest Compassion Center is only able to fully operate weekly because of the generous volunteers who donate their time serving their community. One of the HCC’s most faithful volunteers is Yadira Davis, whose servant’s heart shines every time she walks into the HCC. Yadira, a Phoenix transplant from Chicago, got involved with the HCC almost two years ago. She was praying for a place that she would be able to serve and use her talents, and the Lord led her to the HCC. Yadira, being bilingual, is a huge asset to the Hispanic community in the Valley, which helps each shift she works run smoothly. At first, Yadira admits to being slightly overwhelmed by the need in the community for a place like the HCC. The HCC is located in a middle-to-upper class area of Phoenix which places it in a stereotype that those living in that area are not hungry. Yadira found the opposite to be true, it doesn’t matter where you live; the need for assistance is great. After volunteering Yadira was surprised to find how much fun it was to serve at the HCC and what a blessing and honor it is to hear people’s needs, praying over those needs and then later hearing how God answered those prayers. “I’m blessed by this regular reminder of God’s faithful grace and love for us as well as the reminder of the power of praying with and for others,” said Yadira. Yadira’s favorite part of serving in the HCC is seeing people moved by prayer, seeing other’s willingness to serve those in need which spurs her on to continue serving. She’s blown away how one bag of food can make such a big difference to a family! Families received food and clothing from us, but then we see these same families come back again this time not as guests, but as volunteers to serve others out of the gratitude for the help they once received. All of us at MSC and the HCC thank Yadira for her hours of service, for always being a faithful, reliable volunteer who we can count on every time she’s asked. Her servanthood is an example for others! 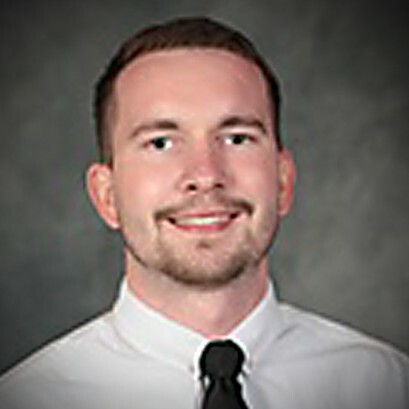 Meet local Phoenix realtor, AJ Sherant with First Page Homes serving North Phoenix. An entrepreneur at heart, AJ has been using his outstanding customer service skills to help others find the perfect match when it comes to house hunting. As AJ stays busy with Arizona’s housing market, he also realized there’s more than just serving his customers; he felt the urge to serve his local community as well. AJ walked into the Harvest Compassion Center about 3 months ago during one of our busy shifts. After realizing that he wasn’t there to be served, he asked, “What is this place?” We spent the next 20 minutes showing AJ around the center, as well as informing him of what takes place daily at the HCC. AJ was blown away by the HCC’s response to fight hunger within his own community, and immediately knew he had to join the crusade in some way! What resulted was AJ organizing his own neighborhood food drive. 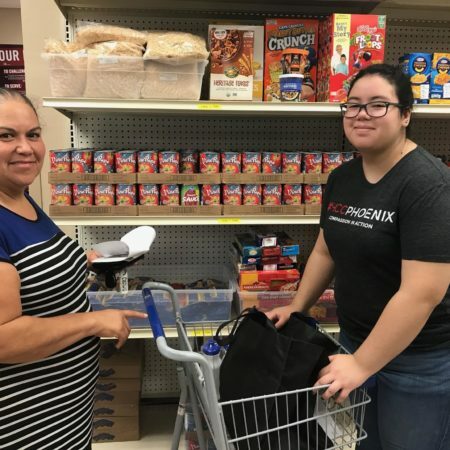 AJ told us that he had always been aware that Arizona was one of the national leaders in food insecurity; however, he wasn’t exactly sure how he could help personally. His inspiration came from one of his fellow brokers during a team meeting, as they were brainstorming different ideas of how to make it easy to donate; AJ said the ‘light bulb moment’ happen! He knew that if he made donating food super simple and convenient he could do his part in helping combat the hunger crisis. AJ not only walked door to door passing out HCC flyers and bags asking for food donations, he produced a short video which he posted online to help raise awareness of Arizona’s growing hunger problem! When I asked AJ why he felt led to assist the HCC he mentioned that after touring the HCC he loved the way our center is set up. It’s a store where families are allowed to ‘shop’ for the things they need all for free, with nothing being pre-packed or boxed. The HCC’s location is also close to where AJ resides and he knew the local community should be helping their local food bank! “Once I met the volunteer staff and saw how much they genuinely care and wanted to help make the community a better place, I was blown away and soon realized they were more than just a food bank. It was clear to me that they ran an amazing operation that I am sure Mitchell would be proud of,” commented AJ. AJ definitely has gone above and beyond setting high goals that were successfully met by donating over 500 pounds of food to the HCC over the past month. “It was really cool to see all the donation bags in one pile, I also learned that organizing a food drive like this was actually much easier than I anticipated. The Fry’s on 32nd street was awesome providing bags and our community response was amazing!” stated AJ. Just think what can be accomplished when we all have the focus and drive like AJ. All of us at the HCC send a huge thank you to AJ, those who helped him collect and deliver bags of food and his generous heart to helping secure that those in his own backyard don’t go hungry! Watch AJ's Brown Bag It For Hunger Video!